As NHL considered as a most respectful and best league by its lovers in North America. However, there are also some sideway blames on the officials and refs for ruining its popularity. Maybe those are just rumors like the other NHL trade rumours which are usual in the air. NHL news are however somewhat underrated than other major sports leagues of US such as NFL and NBA. But still, Hockey fans love watching this fast paced sport. Watching these skilled players is awesome! Someday, maybe, the League and the Refs will catch up. 2019 nhl winter classic day is a success as an outdoor regular season. NHl power rankings are considered as most important for consideration of the teams and players according to their performances as well as statistics. But according to current NHL team standings, in the Atlantic Division of Eastern Conference, Tampa Bay Lightning are leading the table with 35 winnings out of 45. 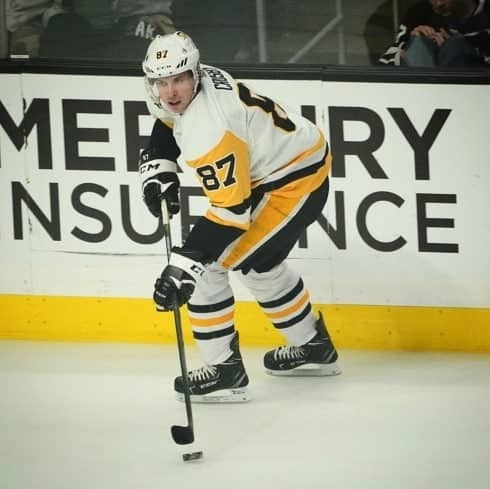 Fans think that Mcdavid is much younger quicker and more dynamic than Crosby but Crosby deserves to be at prime every single time because he is one of the best ice hockey player till the overall games this season. Also, Toronto Maple Leafs are following Tempa Bays with 28 winnings. Thats not an easy gap to cover but nothing can be still predicted. Similarly, in the Metropolitian Division, Washington Capitals are in front with 27 winnings, and Pittsburgh Penguins are just after them with two less winnings. The compitition is really hard in this division as the leading 4 teams are just following each other at very little differrence between them. On the other hand, from Western Conference, Winnipeg Jets are leading the Central division with just a one extra winning from Nashville Predators. Whereas, in the Pacific Division, Calgary Flames are performing really well with 29 winnings and on the top of table. Other teams are San Jose Sharks and Vegas Golden Knights, which are performing really well this season. Keep tuned to your locan sports channels for upcoming nhl live score updates. Previous articleNFL Divisional Rounds: Chiefs and Rams Stole the show as Colts were nowhere near Chiefs in the competition, and Dallas Cowboys lost after a fair game. Next articleTop 25 College Football 2019: Clemson and Alabama struggled real tight for crown as it was only one to stay at peak.